If you are anything like me, your mornings are hectic. Our kids have been in school for quite a few years now, but I remember back to the time when they started school and it was just a mad dash out the door every morning. We had about a year or two between each of our kids starting school, and each time the next kid started our mornings just got even crazier. I’ve had a little bit of experience in rushing out the door over the years, and we’ve pretty much perfected our mad dash. 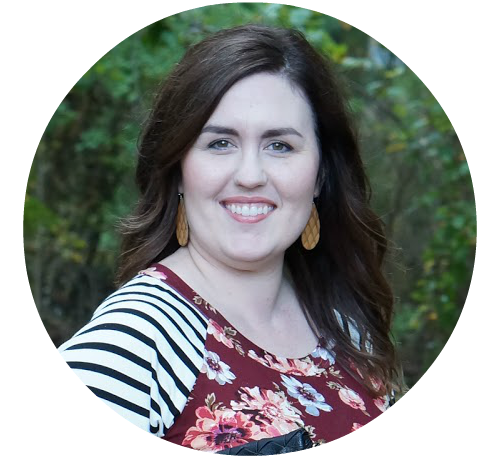 It no longer feels crazy, and I definitely have a few tips for you! 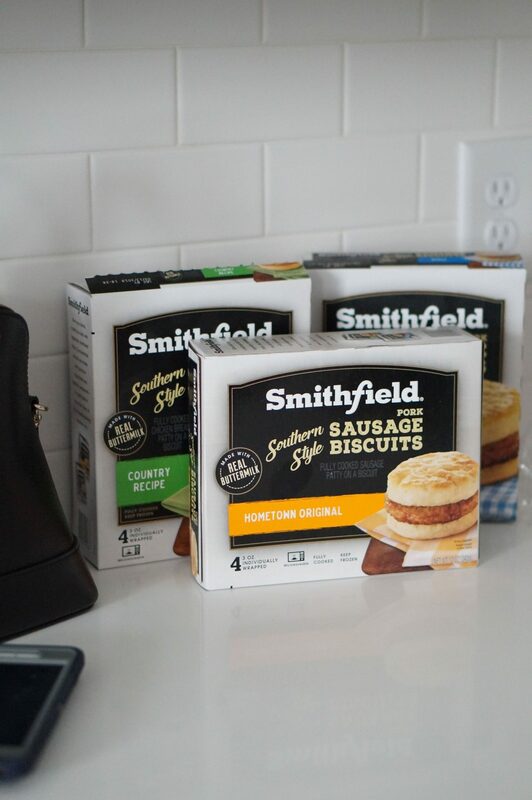 Number one tip, we have our freezer stocked with the Smithfield Breakfast Sandwiches, new at Walmart! To be honest, this tip is a two-fer, because I use the Walmart Grocery Pick-Up for my groceries every single week. It saves me so much time! Here are a couple pictures so you know what it looks like. On the left is my cart with my items in it. 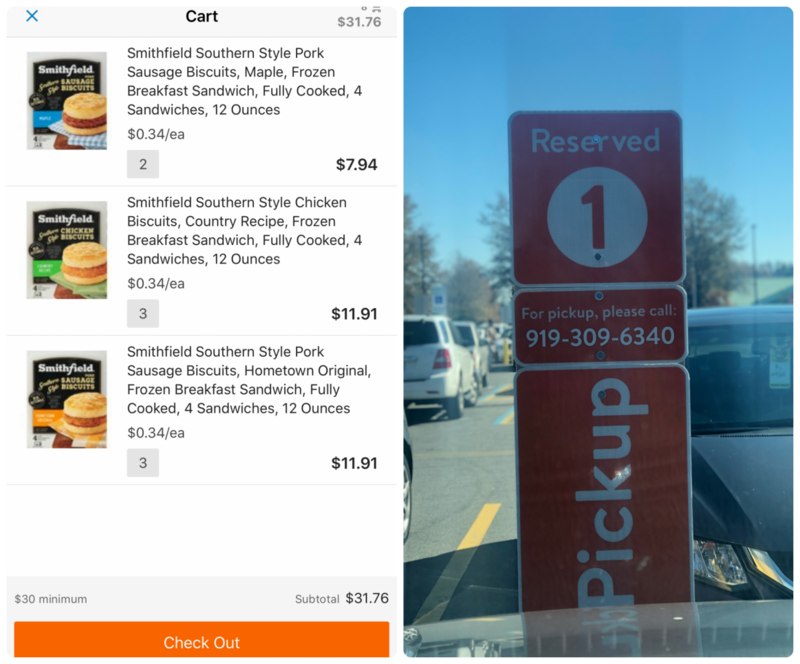 On the right is one of the Grocery Pick-Up parking spots at my local Walmart. 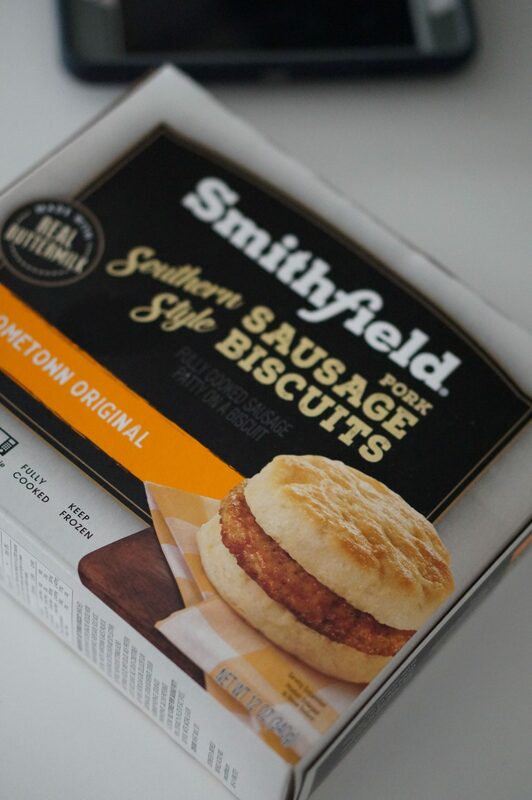 I can think of so many things that we love about these sandwiches, but the two best things are the convenience and the taste. 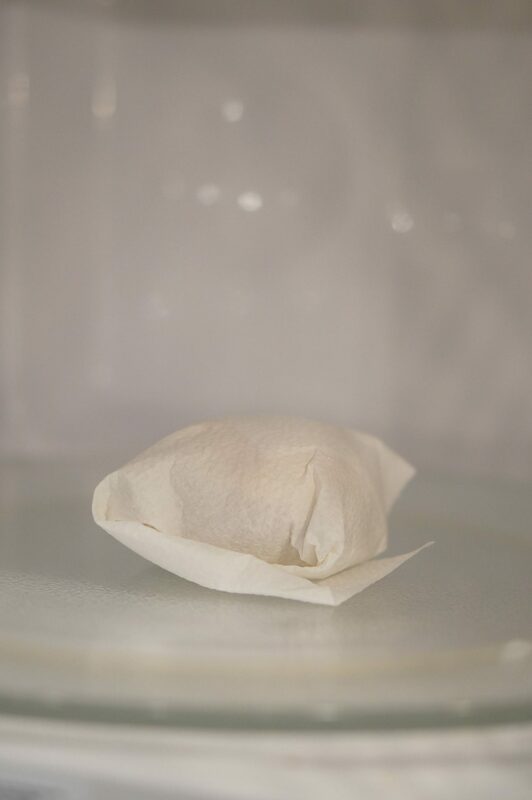 It only takes 50 seconds to microwave, 2 minutes to cool, and you just have to wrap it in a paper towel. So, it’s literally completely done and ready to grab and go after just under 3 minutes. Here are some pictures of what the packaging looks like and how you prepare it. 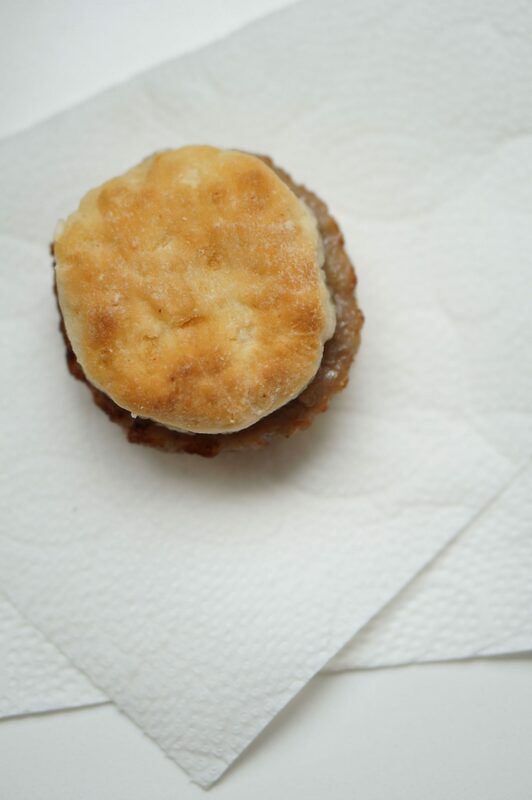 There are a few pictures of a prepared Smithfield Breakfast Sandwich towards the end of the post. 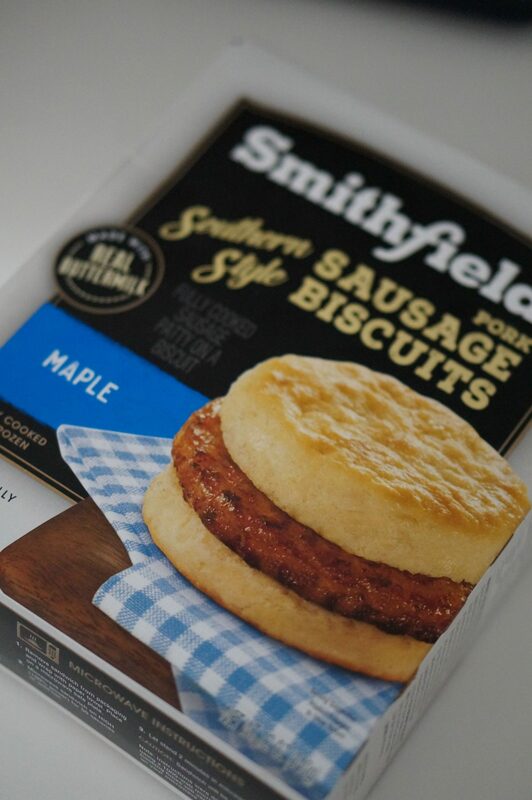 The biscuits are literally the best I have ever had from a convenience breakfast meal. 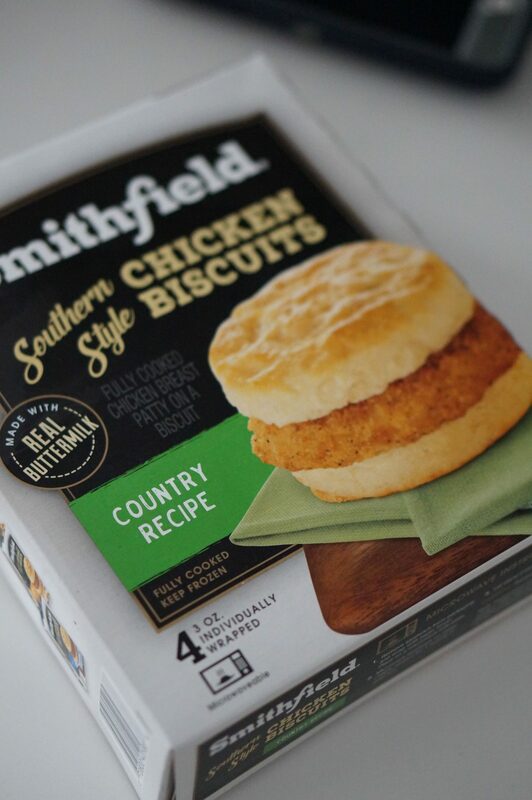 They use real buttermilk, which gives it a from-scratch taste. They are so, so good! As you can see, there are a few flavors to choose from. 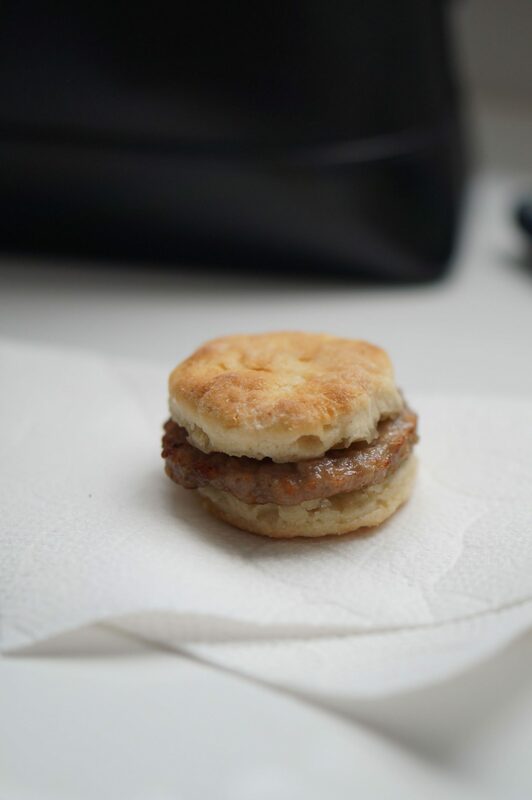 We personally love the Smithfield Hometown Original, but we are always partial to a pork sausage biscuit. 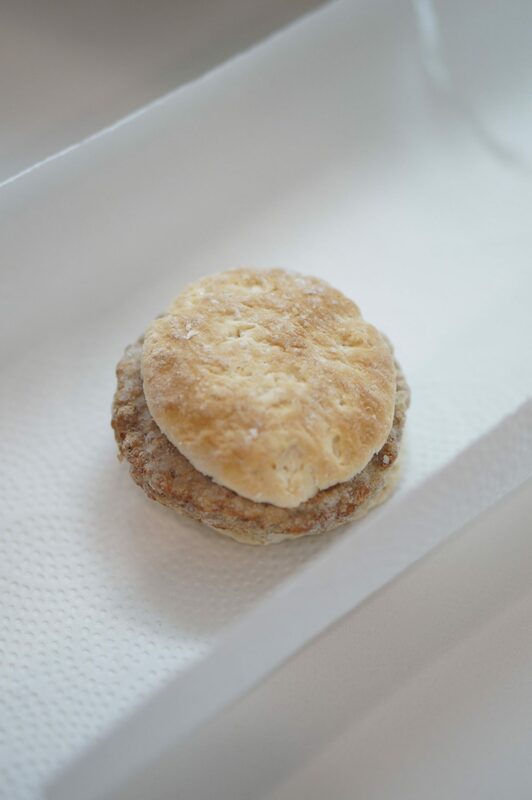 The other flavors are Maple Sausage, which is delicious, and Chicken Country Recipe, which is perfect for chicken biscuit lovers! 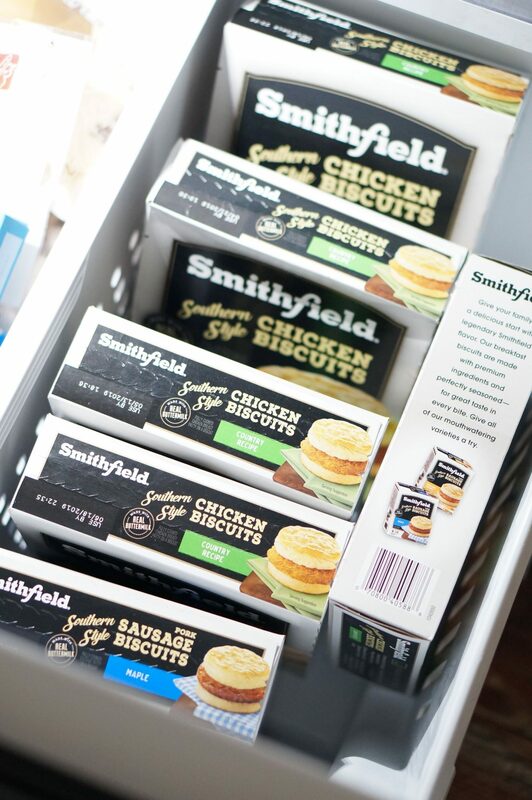 As you can see, our freezer is stocked up for a good while. 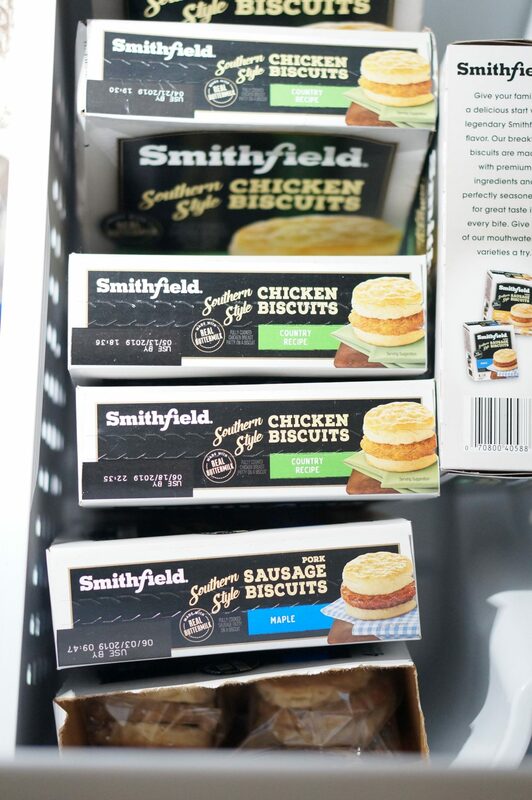 I always like to organize them with the label that shows you the flavor at the top. It makes it easy to find what you want. And if you look in the picture at the front of the drawer, I have one box with the top torn off of it. 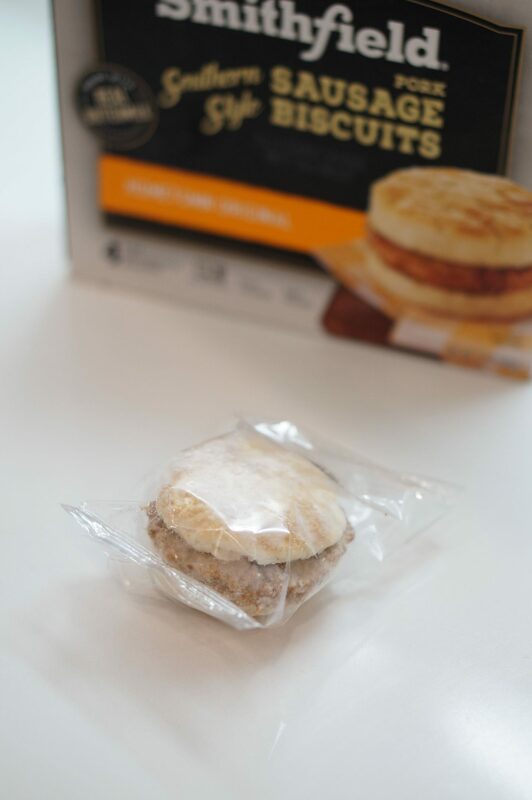 I like the flaps to be taken off, because we can just grab what we want without having to remove the box from the freezer. 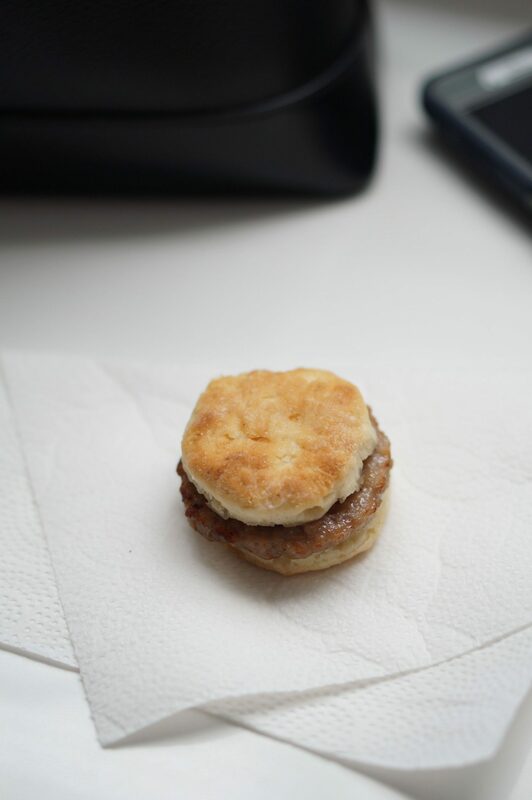 It’s just another small thing that makes a big difference in the morning! We’ve been doing this for so long, I can’t imagine what our mornings would be like if we made lunches before we left for school and work. 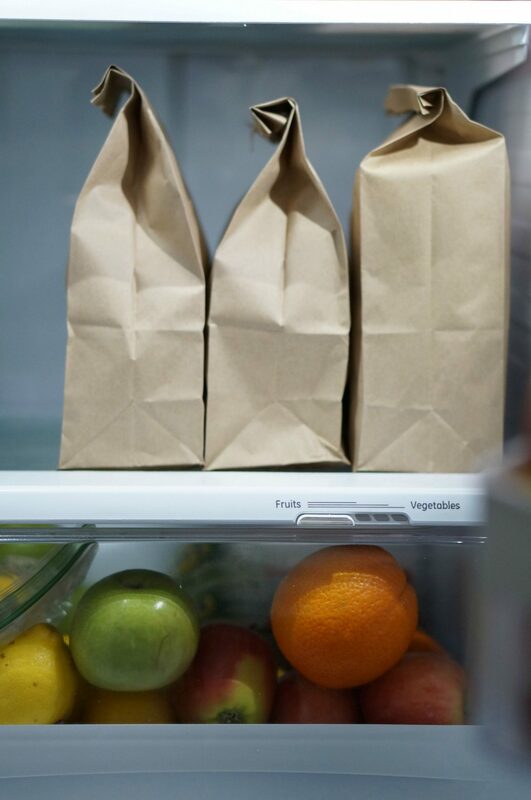 It’s so, so easy when you have everything prepared and packaged in the lunch boxes the night before. Our kids just grab their respective bags and we’re out the door! 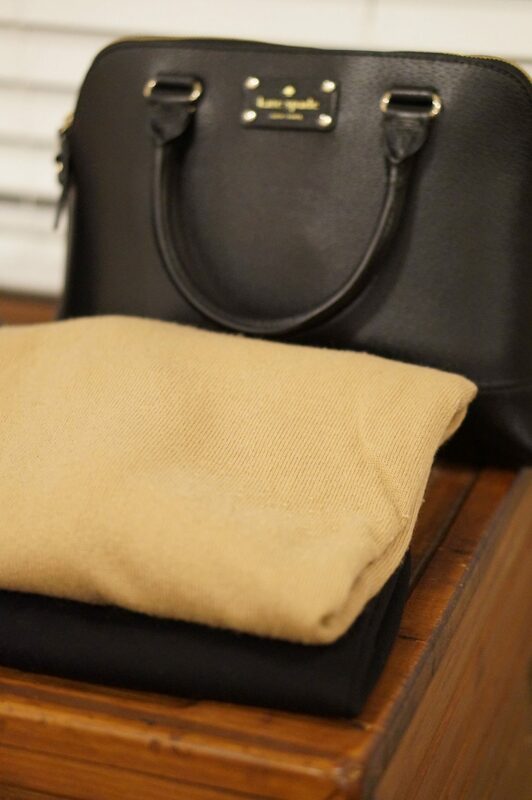 Have you ever had a morning when your children can’t ‘find anything to wear’? Yup, me too! To be honest, I have mornings like that myself. So, this tip definitely applies to me, my husband, and our kids. I also let them pick their own outfits, within reason. If kids take ownership over their outfit, it seriously decreases the whining about clothes in the morning. 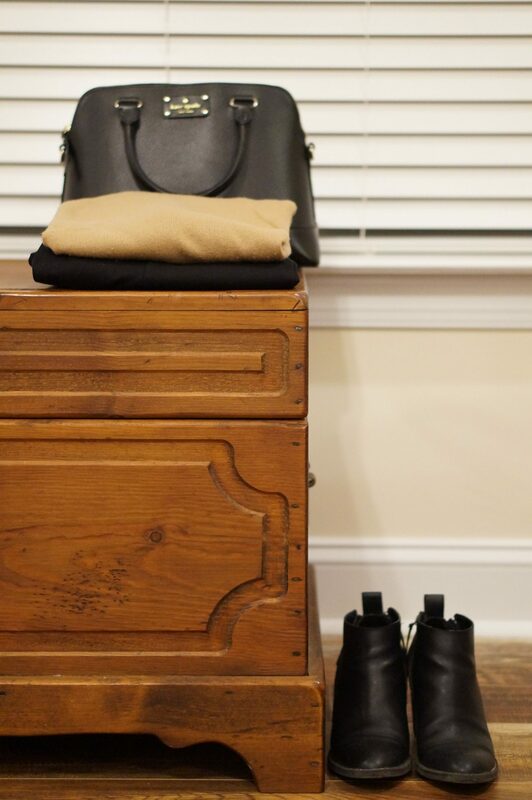 Thank you so much for reading my tips on making the mornings less stressful! I hope they help, and I’d also love to hear what you do to make the mornings easier for you and your family.